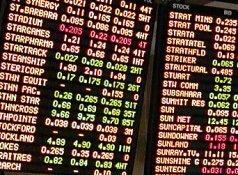 Publicly-listed big data company, Invigor (ASX:IVO) has drawn a loss of $8.5 million during the six months ending June, following impairment charges amounting to more than $6 million. The company, which released its half-yearly financial report on 31 August, told shareholders that it incurred an impairment charge of $4.6 million against the goodwill of Invigor Digital Solutions during the period. It also reported an impairment charge of $1.4 million against the investment in TUXXE, and an impairment charge of $450,000 raised against the patent received from MVID, thanks to a reduction of debt in July 2016 which was revalued at 30 June 2017. However, the company reported a slight rise in revenues for the period, taking in $4.7 million, up 2.8 per cent over the corresponding half last year. The company reported a net loss before financing costs, tax, depreciation, amortisation and impairment (EBITDAI) of $990,000. During the period – in April to be precise – the company revealed it had signed a $10 million deal for retail e-commerce analytics startup, Sprooki. The move was partially aimed at offering retailers an "antidote" to increased competition from new market entrants such as Amazon. The company transformational Sprooki acquisition delivered IVO a comprehensive and unrivalled suite of data analytics solutions. “The transaction has unlocked strong synergies between Invigor and Sprooki, giving the company a strong and established global customer footprint spanning Australia, Asia and Europe and significantly strengthened the company’s management ranks and the capabilities and experience of its board,” Invigor told shareholders. The deal also handed Invigor a comprehensive portfolio of data analytics solutions that provide powerful defences and opportunities to companies combatting new threats from online retailers, such as Amazon, the company said. “Our focus now is to capitalise on the data analytics capabilities we have assembled, execute our business development pipeline, and deliver the revenue growth from the investments made. Strengthening our balance sheet is also a key priority in the current half.” Invigor CEO, Gary Cohen, said.